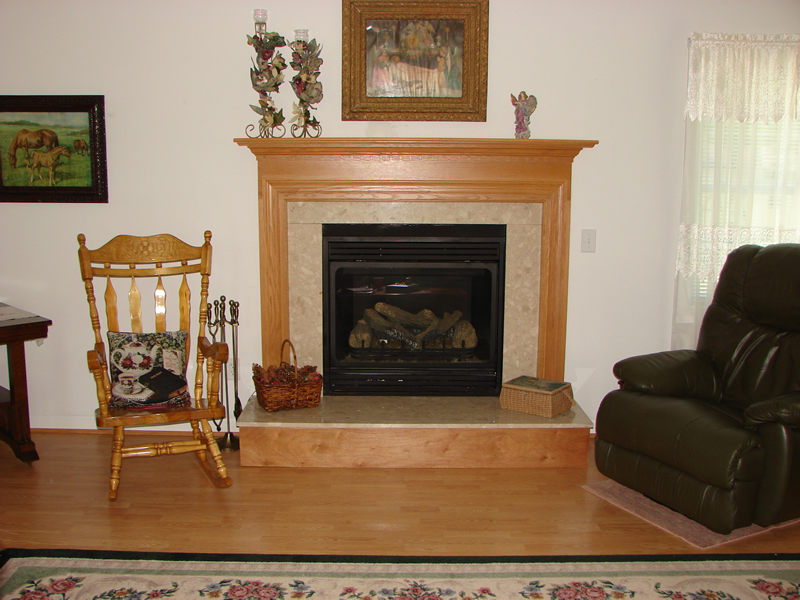 Black Goose Chimney offers chimney sweeping as well as repair, installation, & restoration of fireplaces, wood stoves, and gas fireplace inserts to the greater Hampton Roads area. Our lead technicians are Nationally Certified through the Chimney Safety Institute of America (CSIA). We perform our sweeps to the standards and guidelines outlined in the Successful Chimney Sweeping Manual published by the National Chimney Sweep Guild (NCSG). We take pride in being conscientious of your home and property by protecting it from soot or any other residue while we are performing a sweep on your fireplace and chimney system. Black Goose Chimney offers two levels of inspection in accordance with the National Fire Protection Association (NFPA) standards of inspections. A level I inspection is a limited visual inspection using a light. The level II inspection is a more thorough inspection using a closed circuit camera. Schedule an appointment today via this form, or call us at 757-596-2298. Receive money-saving coupons once a month and helpful tips about your chimney and dryer vent. Thanks for hanging in there and working to find a solution for us. You and your team have truly worked hard to help us solve our problem. We would recommend your company to anyone needing chimney work or maintenance. They are really good. I like them a lot. They are very professional. They are very clean. They know what they are doing. They are very nice. I would use them in the future. Just one word: Outstanding! John is very honest about his work and in his assessment on chimney products. He is also very personable and comfortable to work with. I like the way he does his work. The service was exceptional and professional! My mind is at ease knowing that my woodstove and dryer is safe for our family. John was very polite and informative. I could recommend John and your services. Outstanding technicians and crew. I can’t say enough about their knowledge, attitude and competence. They are rare in today’s world and I appreciate it. Just outstanding, polite, neat, efficient and knowledgable. Thank you Mike and Sergey! Knowledge and honesty-Finally! We want a company who wants to help us and is willing to work to do that! So happy to finally discover Black Goose-We’ll spread the news! I learned a lot from Mike today regarding my fireplace and chimney. I’m from Hawaii and never had a fireplace before; therefore, I knew nothing about the fireplace and chimney’s operations. Mike was very patient and explained everything to me in a way that I could easily understand. Mahalo, Mike! John did an excellent job of advising us on the best option for our problem. He was very informative and helped us make good decisions. Black Goose Chimney Sweep is EXCELLENT! After dealing with three other companies and insurmountable stresses, they replaced our Chase Cover professionally, quickly and at the quoted price. They came highly recommended and I would highly recommend them to anyone! Thank you Black Goose, for a job well done and making the whole experience Stress Free!! A five star rating from the Kuykendolls in New Kent! Representative was the reline crew leader from the Co. Very knowledgeable and made sure I was educated prior to any work done, they inspected both the outside & inside of the flue, chimney brick, cap, damper, etc. Pictures were provided to make sure I understood work to be done. Sweep was completed. They were very clean, laid drop cloth covers all over. Amazing. Their promptness was incredible, my service technician, Mike, was an absolute pleasure to work with. He fully explained everything to me and did an amazing job with everything. He provided a service that was not only outstanding but had a personal touch to it which goes a long way. Excellent. Mike arrived on time, inspected the cap, took photos so we could see the condition from the ground. He informed us that the cap was solid and did not need replacement. He cleaned the cap and painted it, took after pictures so we could see the results. Mike was very professional, friendly, and answered all our questions and did a great job. The cap looks as if it is brand new. Dock and Sergey: Great job walked me thru process and were very upfront on the condition and what was and was not needed. Tech Ryan, very thorough and helpful. Website also good. Ryan gave me some business cards to pass along to my customers. I do mortgage loans. Techs: Ryan and Raheem You sent a great crew. Thanks ever so much. You sure have my recommendation. Tech: Ryan and Raheem These two gentlemen did an excellent job! I'll be requesting them to look at my own home soon. They were both professional, knowledgeable, and patient with my questions. Techs John and Raheem. Very polite!! Techs: John and Raheem John Kerr and crew came twice to work on our chimney. Both times they gave excellent service! Showed up on time. Explained every step. Showed pictures of work before and after. I will recommend to others. thanks again. John always does a great job! He always shows before and after pix and explains everything very well! Your men could not have been nicer and very informative. Thank you for coming so promptly. You are the best! Thanks to Barbara, Mr.Ike for getting someone here in my "disaster" so quickly. And thank you to Ryan who sounded so well trained in his work. Awesome - having used many service people in the past 15 years, your company tops the list for knowledge, courtesy, concern for my comfort, and completing the job! Leaving my home with NO MESS, rather extra careful. Thanks. It was like the "good old days" Keep on doing as you are...congrats! John Kerr was prompt and did a very professional job checking the status of our dryer vent. I would highly recommend him and the company to anyone interested in checking or repairing their dryer vent. We had used Black Goose last year to replace a flexible plastic dryer vent with a sturdy rigid duct. They did a great job (the dryer vent was routed through the ceiling of our garage, so it was not a simple job) They did the repair with minimal disruption to the ceiling and it has been working great since then. Ryan M. and Jessie came out to inspect 9 fireplaces for a local Girl Scout camp. I asked a lot of questions and Ryan was more than willing to take his time and explain everything to me that I wanted to know. He is very knowledgeable, friendly and thorough. Thanks Black Goose! Ryan was very thorough. He arrived in the appointment window and spent almost two hours looking over our chimney. We've had four other companies out attempting to track down the source of our water problems. Far and away, Ryan spent took the most care and effort during his inspection. We had Black Goose Chimney do work at our home with exceptional service and workmanship. We also found they do more than just chimney repairs and we will use them for future work. I received before and after photos to document the problem and the finished work. The office secretary was also exceptional in her professionalism. Jesse and Sergay did an excellent job with the fireplace installation and brick veneer and I couldn’t be happier. They were great every step of the way and addressed all of my questions and concerns professionally and pleasantly. The finished product looks great and I would recommend Black Goose Chimney for any installation or fireplace cleaning. I can hardly wait for the cold weather to arrive so I can crank up the fireplace and enjoy the new addition to my home. I would like to take this opportunity to thank you for all of your hard work rebuilding the Rebecca Vaughan House's foundation and chimneys. This 1795 historic places structure was returned to its 18th century beauty due, in part, to your outstanding brick work. Your craftsmanship displayed while completing this project was nothing but excellent and I hope to have the good fortune of working with you again in the near future. I did want to follow up with an email to express my appreciation for the job done on my chimney by Sergay and Ian. These two young men represent your company well. They are very professional, knowledgeable, and very hard workers. They did a wonderful job on my chimney and I am very pleased with the job quality. I will use your company any time I need chimney work or have problems. I wanted you to know how well these men worked and how they put your company in such good light in my eyes. Please tell them job well done and keep up the good work. It is always refreshing to see young people who love their job, their company, and have strong work ethic.